Every Ottawa neighbourhood is constantly changing. Some changes are highly visible, such as single-family homes being knocked down to make way for a multi-unit development. Others, such as a homeowner adding a new deck, are only discernable by the echoes of nails hammering into wood on a Saturday afternoon. The time, resources and emotions that go into purchasing property can understandably leave homeowners with the feeling that what’s constructed on their lot is their decision alone. But a myriad of municipal planning rules helps to ensure that individual interests are balanced against the wider goals and needs of the community. In other words, a check-in with City Hall may be needed before starting that weekend construction project to make sure your plans and dreams are plausible. Getting expert advice is often key to avoiding unwanted surprises down the road, and a good place to start is the City of Ottawa’s 311 service line, and by speaking with a development information officer. The City also provides information about development applications on its website, including fees, timelines, and appeal processes, as well as a step-by-step guide to support a property owner through the process. All new construction projects and property modifications must be aligned with the city’s official plan. This important document defines the city’s vision and future direction, outlining how to accommodate growth while supporting heritage and environmental protection. Simply put, the official plan guides where new development should occur, as well as the permitted uses of property (residential, commercial, industrial, mixed-use, etc.) in established areas. Additionally, the official plan contains rules on setbacks, height limits and other parameters that shape a construction project and govern building modifications. It’s easy to find your property on the city’s website and see what restrictions are in place. Use the ward mapping or Development Review Areas map to verify the location of your development property. Lot Development covers site plan control (generally required for commercial and industrial developments, multi-unit residential projects, certain changes in land use, and for some types of developments in a Heritage Conservation District). Let’s say, however, that your property is large enough that you’re contemplating building a second, standalone house. This would fall within the Lot Creation category. But be advised, this process is complicated! You would likely need to complete a “Consent to Sever” application. Fortunately, it’s much simpler if you are just considering converting your basement into an apartment as a rental unit or investment property. 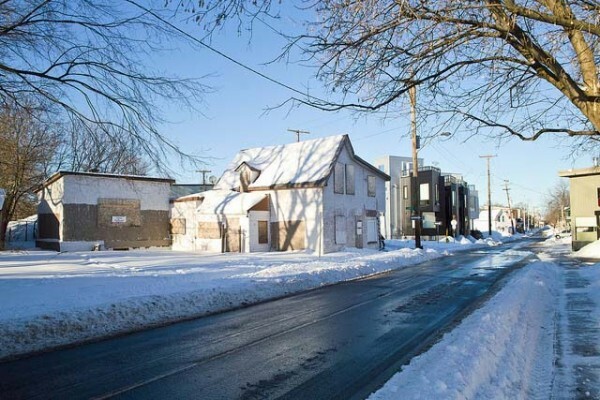 Recognizing that cities need to encourage intensification, Ontario’s Planning Act allows the creation of a second unit within a house, providing that this unit is not detached, is not capable of being severed, and does not visibly change the character of the neighbourhood streetscape. To create a second unit, you would need to complete a building permit application. You would similarly submit a building permit application if you would like to build a deck or shed. If your project does not fully comply with zoning regulations, but would have minimal impact on your neighbours, it is however, possible to apply for what is known as a “minor variance” to accommodate a proposed development or modification. The city’s committee of adjustment will assess whether your request is appropriate, aligned with the official plan and zoning bylaw, and truly minor in nature. Major deviations, such as converting a building from a single-detached home into a duplex, require a zoning bylaw amendment. If you are not satisfied with the decision made on your development application, however, you can appeal to the Ontario Municipal Board. Professional assistance is recommended; consider hiring a planner to help you navigate the process and regulation intricacies. At the end of the day, your house may be your castle, but don’t forget the City’s perspective. Tina Barton is a writer and marketing/communications professional, who is passionate about sustainable city development and de-mystifying urban planning.